Hello scrappy friends! 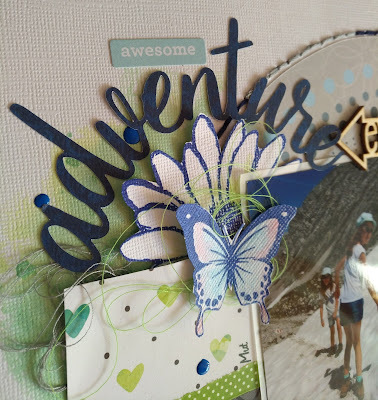 This month I have a guest designer spot at 123challenges! I used a dark blue cardstock as a frame for my white background paper. 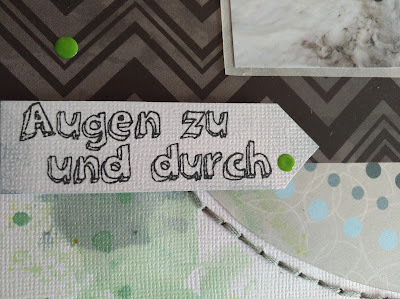 I cut out a circle from an old paper from my stash and stitched around it with grey, blue and green twine.Then I did some colorwork with color spray and plastic packaging. Behind my photos, I placed two stripes of BoBunny designpaper. 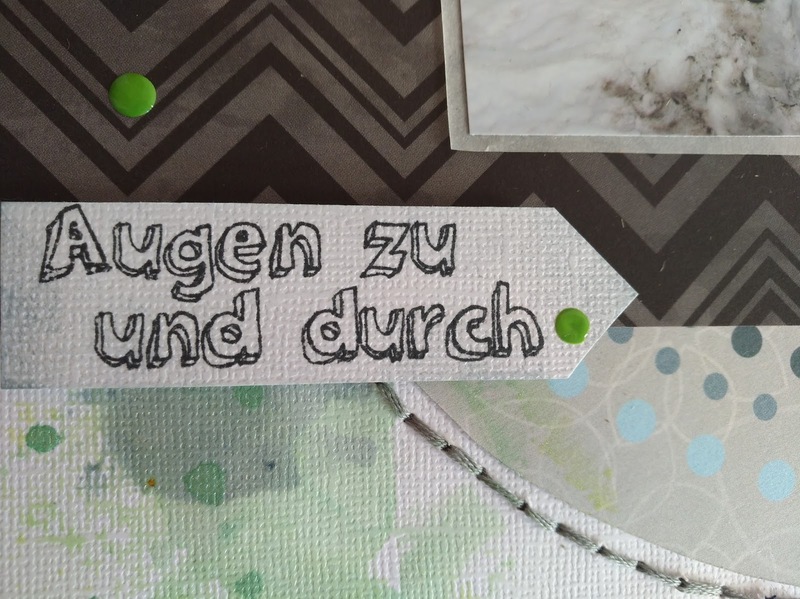 For decoration, I used a wood veneer, enamel dots, twine and some SF-Stamps (butterflies, big flower, Text). 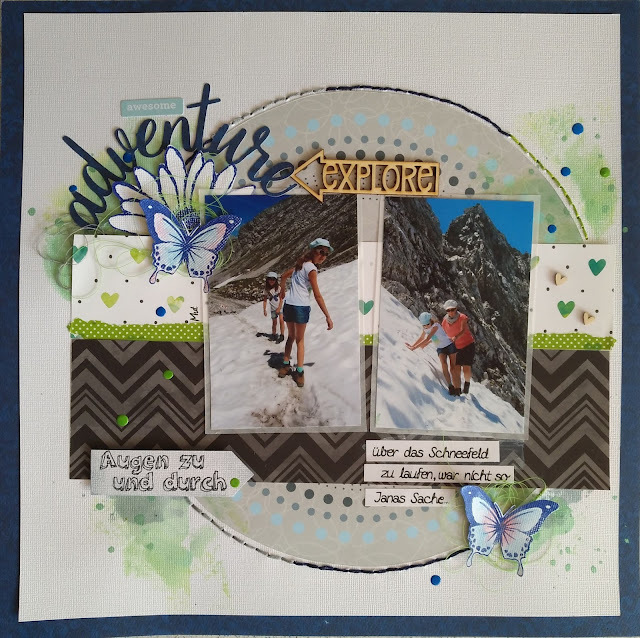 For my title, I wrote the word "adventure" in my silhouette programm, placed it around a circle and fused it.